If you recently bought a pair of running shoes and you're experiencing sore feet or blisters, you may wonder how long it takes to break in new shoes. Knowing when it's time to give up on a pair of shoes and return them to find ones that fit better is important for your foot health and comfort. Properly-fitted running shoes and ones that are the right shoes for your feet shouldn't require a break-in period. They should feel comfortable starting with your first run. If you get a different model of running shoe ​than you've worn in the past, try them out by doing a couple of shorter runs in them. They might feel a bit different at first, but they should feel comfortable. If you're developing blisters or feel pain or discomfort, take them back to the store. Most good running stores will give a refund or store credit for running shoes that have only been worn a couple of times. There are a couple of common problems that lead to shoes being the wrong fit for you. Shoes That Are too Small or too Narrow: If you're getting blisters or the shoe feels uncomfortable, they may be too small. Your feet swell when you run, so you should make sure that you're wearing running shoes that are at least a half size to full size bigger than your regular shoe size. It may feel weird at first buying shoes that are bigger than your dress shoe size, but your feet are not the same size by the end of your run as they were when you started. You may also want to look for wider shoes. Some brands now offer narrow, regular, and wide widths. If you are experiencing rubbing or blisters, see if a wider shoe will work better for running. 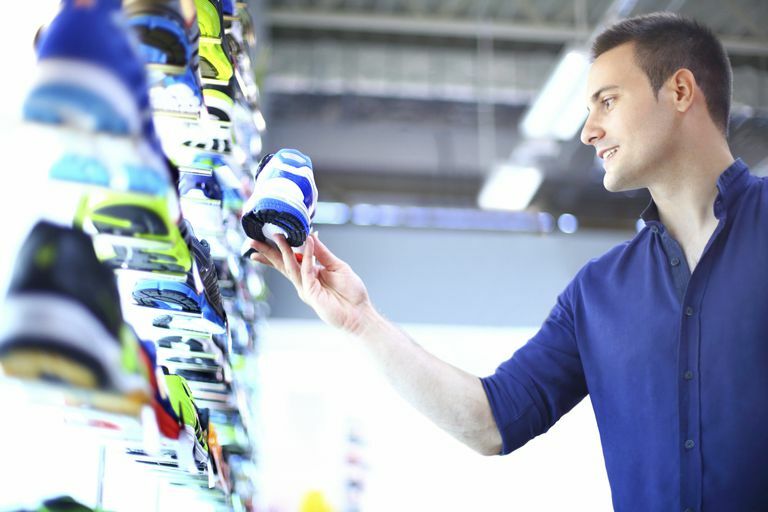 Shoes of the Wrong Type: Visit a running specialty store and have a salesperson look at your feet and do a gait analysis so you get the right running shoes for you. If you need a motion control shoe because you overpronate, you may have problems if you picked up a neutral shoe instead. If you don't overpronate, you may find a stiffer shoe to be less comfortable. If you bought a minimalist shoe but your foot needs more support, you won't be comfortable in the unstructured shoe. Know the return policy of the store or online vendor where you bought the shoes. A local specialty running store probably has a generous return policy and you can bring back your shoes after a few runs. But online stores and other stores may require returning only unworn shoes, in which case you are out of luck. It's smarter to buy a new model of shoe from a store with a generous return policy. Don't delay in deciding that the shoes aren't going to work for you. If you are having problems after a couple of runs, it's unlikely that things will get better. In the meantime, you may get blisters or develop other problems from wearing the wrong shoes. It's better to stop using them now, even if it means you end up donating them to charity because it's past the return date. Are Your Foot Problems From Bad Shoe Inserts?